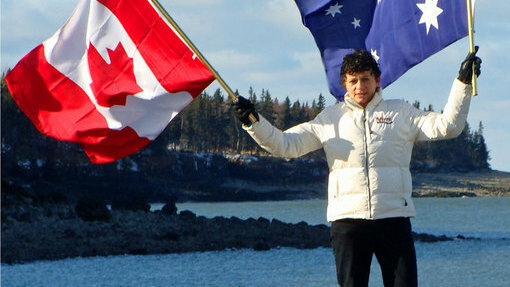 Canada and Australia are joining forces in the global New7Wonders of Nature Campaign. New Brunswick and Nova Scotia’s Bay of Fundy is Canada’s sole representative and Australia has two competing finalists, the Great Barrier Reef and Uluru (Ayers Rock). Tourism Australia is the official supporting committee for both Australian sites. There are many similarities observed between Canada’s and Australia’s finalists. The Great Barrier Reef is world’s longest coral reef and Bay of Fundy is home to the world’s largest mussel reefs. Similar to coral reefs, mussel reefs play an important ecological role by providing a unique and productive habitat that sustains high biodiversity. Both Great Barrier Reef and Bay of Fundy are home to an astounding variety of marine life and provide a critical habitat for many of the world’s whales, including the endangered North Atlantic Right whale in Bay of Fundy and the South Atlantic Right whale in Australia. Through their websites and social media activities, Canada and Australia will continue to encourage votes for each other until the campaign’s conclusion on November 11.